Yogscast has unveiled the 2014 Jingle Jam charity drive, a special event that runs throughout December in support of five worthy causes. Last year's Jingle Jam raised nearly $1.1 million dollars, and this year the cheery casters are hoping for even more. 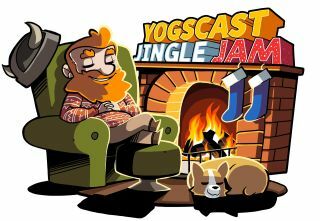 The Jingle Jam 2014 will feature members of the Yogscast family appearing on Twitch every night throughout December, playing games, taking on challenges, and just generally having all sorts of holiday-spirited fun. Fans who donate $5 or more to the Jam will be given a special Team Fortress 2 item, while those who kick in $25 or more will be awarded a special bundle of games through the good folks at the Humble Bundle, details of which will be revealed on December 1. Money raised through the event will go to support Mind, Doctors Without Borders/MSF, Flora and Fauna International, Special Effect, and End Polio Now. The Yogscast 2014 Jingle Jam will get underway at 6 pm GMT on December 1 at Twitch.tv/yogscast.